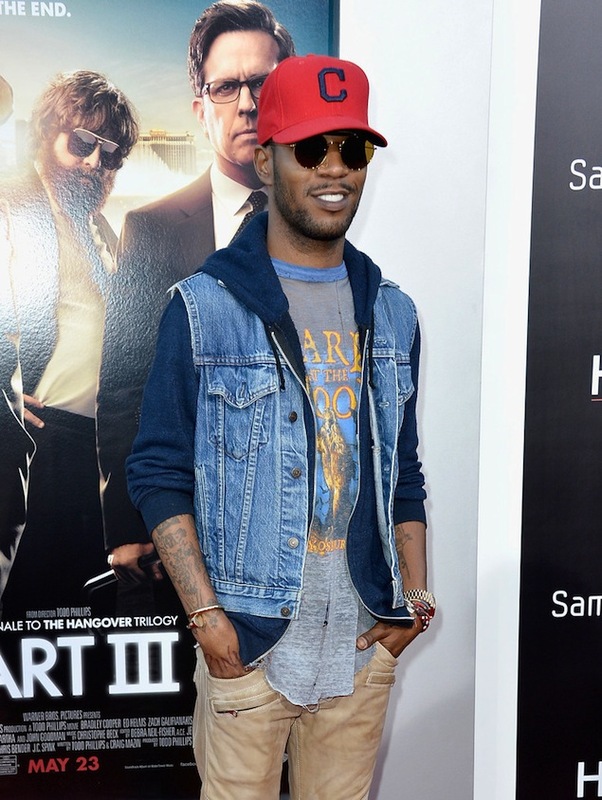 Over on the West coast, Kid Cudi attended The Hangover Part 3 premiere at Westwood Village Theater in Westwood, California. 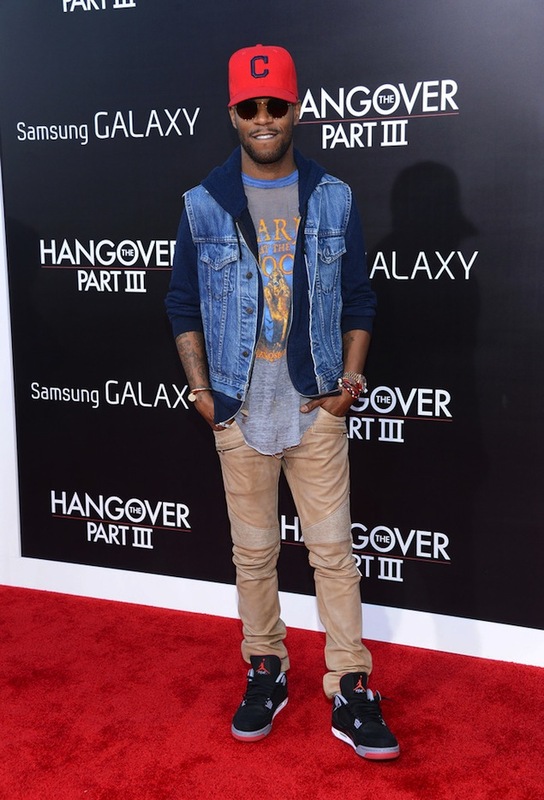 For the event, Cudi graced the red carpet in sleeveless denim vest layered over a blue hoodie and tee-shirt paired with $1,343 Balmain Leather Biker Trousers. 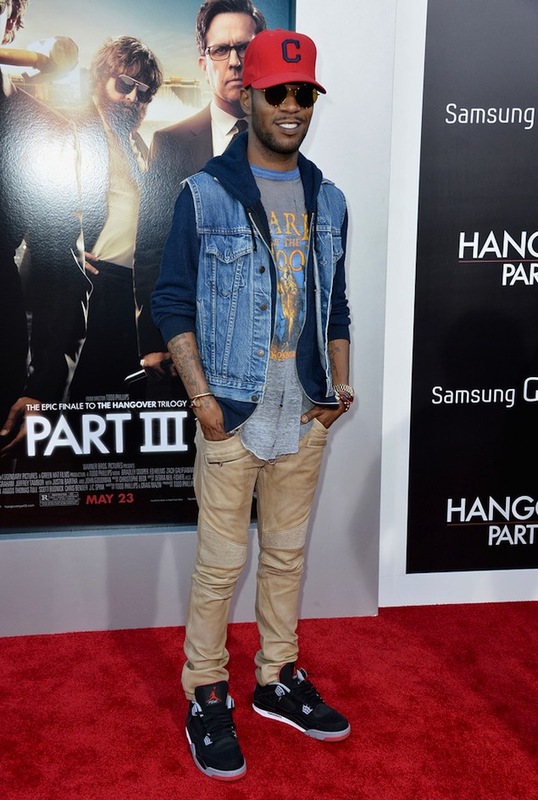 Cudi completed his outfit with Air Jordan sneakers. 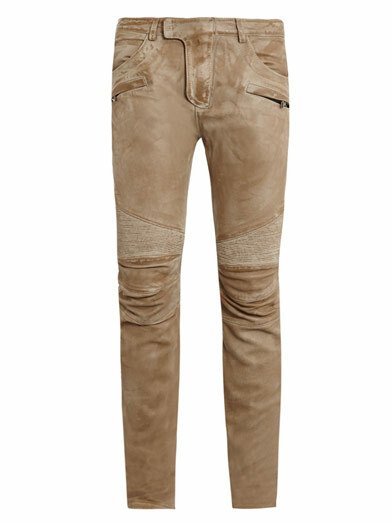 These beige washed leather trousers with a slim tapered-leg features a top hook zipped front fastening and are a luxe investment into the label’s rock ‘n’ rill design aesthetic. You can get these pants at MatchesFashion. That’s when I Knew” is definitely an ode to my husband… Honestly, I didn’t really like him that much. I thought he was too ostentatious. I think we’ve taught each other a lot. He’s taught me to live more fully and I think I’ve taught him to live more deeply..
With Dre Films in the director’s chair, Rick Ross releases his new visual, “Oil Money” Ft. Jadakiss (watch the visual on YouTube). The track appears on MMG’s upcoming release, Self Made Vol 3. The project arrives August 6. 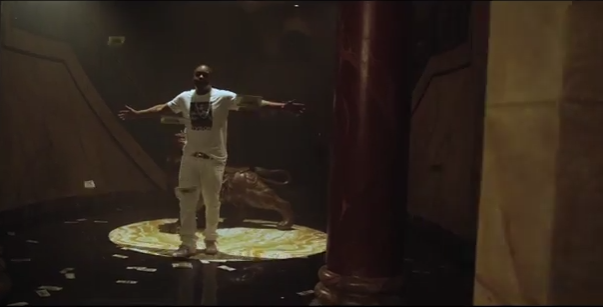 In the visual, Jadakiss rocked a $232 Dolce & Gabbana “Mike Tyson” Printed Tee-Shirt paired with white jeans. Jada accessorized his outfit with a red-gold buckle “H” Hermes belt. 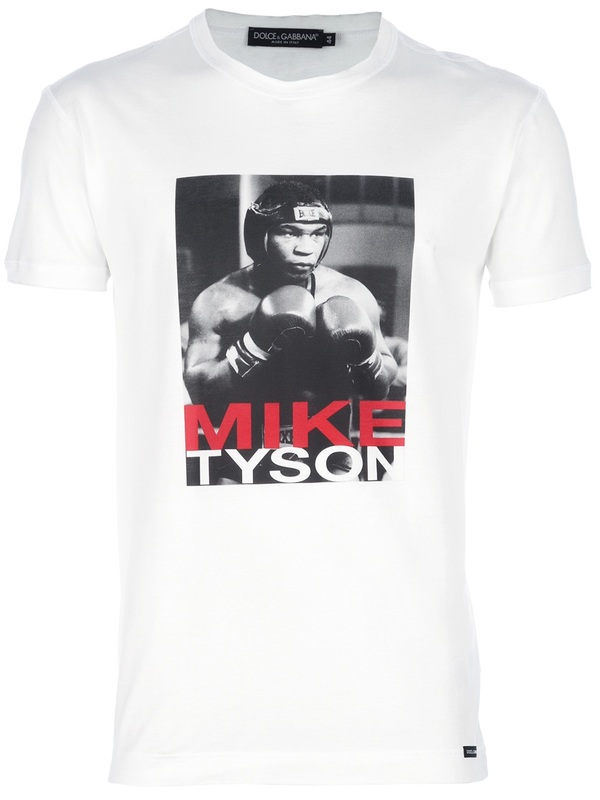 This white cotton tee-shirt from Dolce & Gabbana features a black and white Mike Tyson photo printed on the front and a stitched logo tag at the hem. You can get this tee-shirt at FarFetch. Jadakiss will be releasing his new album, Top 5 Dead or Alive later this year. International pop singer Rihanna and her BFF Melissa is currently in the City of Light for Riri’s “Diamond” tour. While in Paris, Riri and Melissa dined with designer Azzedine Alaia in his kitchen and toured Coco Chanel (the famed designer behind Chanel) apartment. Riri styled in a burgundy catsuit paired with $1,326 Azzedine Alaïa Circle Sandals. Melissa also wore a catsuit but in black, accessorized with $1,913 Alaïa Suede And Stingray Sandals. Melissa’s sandals are flawlessly crafted from suede and stingray and feature a zip fastening along back. You can get them at Net-A-Porter!